"Hats." Matthew Darly, 1773, Colonial Williamsburg. While visiting Colonial Williamsburg, I stopped by the tailor and millinery. Above the doorway rested a copy of this print. Though a few other institutions have copies of this print, Colonial Williamsburg appears to be the only one that has it digitized in color. The trade off is the low resolution. 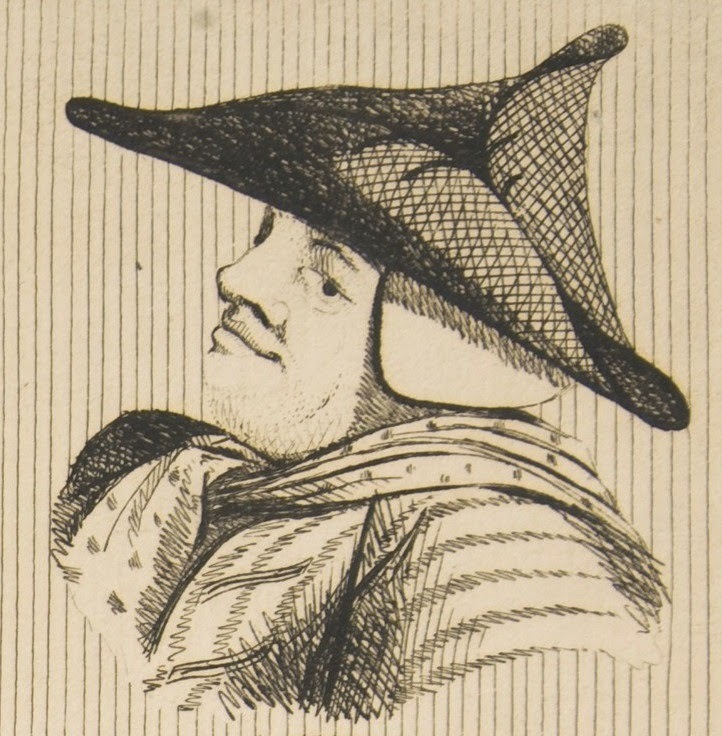 Darly has created a caricature of the styles of hats in Britain at the time. In the words of the tailor at Williamsburg, some of the hats are only slightly exaggerated. 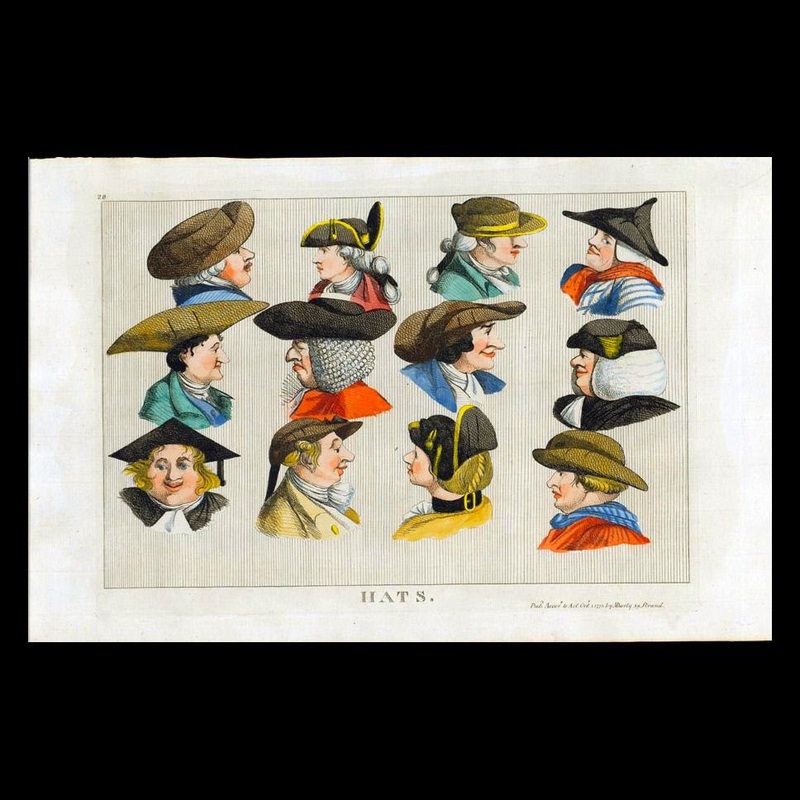 Among these barely caricatured hats is that worn by a sailor in the upper right. By combining the higher resolution image with the colored image we can come to a few good conclusions. As the centerpiece, the hat is worn backward and tacked down. This style fits perfectly with the 1762 style described in the London Chronicle that I addressed earlier this year in my post On Hats. It appears to be a black felt cocked hat. Aside from the hat, our sailor wears a striped jacket (blue stripes on white in the colored image) with large buttonholes and his neckcloth is of an orange-red hue with dots.